Awesomesubmitted by Brandie M. - Apr 29, 2016 |Recommended: YesThe staff is awesome. The community offers a lot to its residence as far as amenities and convenience. All around great place to live absolutely no complaints. The location is great due to it being close to I64. The apartments are also very close to local bars and amusement parks. Great Place To Live But......submitted by Robert S. - Apr 26, 2016 |Recommended: NoSo far everything is great, although for the money I shouldn't be able to hear EVERY little thing my upstairs neighbor does. As I write this it sounds like they have a factory up there going on at 9pm. The other day my speaker fell off the way do to the vibrations coming down from what my kids have dubbed the elephant man above us. Next complex you guys build go the extra little bit and add some extra insulation in between the units. The complex otherwise is great, but this is enough to cause one to move after their lease is up. response from property - Apr 27, 2016 We are so sorry to hear this! Would you mind if we contact your upstairs neighbor and let them know what you are experiencing? They might not be aware of how loud they are. We would love to try and rectify this for you. Not energy efficient, poor noise reduction and over priced.submitted by Leatrice C. - Apr 03, 2016 |Recommended: YesGreat staff and clubhouse. Great maintenance response time. Kind of pricey for the square footage, not to energy efficient, windows and door seals are not good. Not good sound proofing you can hear everything in hallway and upstairs to include the elevator, stairwell and entrance doors. response from property - Apr 04, 2016 Thank you for letting us know. I would love to send maintenance over to check out your windows and door seals. Please contact the office to let us know a good day and time! Aura Reviewsubmitted by Travis S. - Apr 03, 2016 |Recommended: YesGreat place, a little on the expensive side but with that you have awesome amenities and location. I think in a few years once all the construction this will be a very sought after location to live, hopefully the price doesn't increase. Amazing Staffsubmitted by Brenda C. - Mar 14, 2016 |Recommended: YesWow The staff here are also amazing. I was looking for a place for my our of town aunt to live. I found Aura at Quarterpath online and started researching. I stopped in and was greeted by friendly helpful staff that supplied me with further information and suggested I make an appointment for a tour. My aunt and I toured the facility and completely agree with all the great reviews about the location, amenities, apartments, and grounds. The staff there are patient and kind with all our questions during the tour and have been prompt and so helpful with the follow-up emails we have sent since the tour. It is very comforting to know your loved one will be safe and happy. response from property - Mar 15, 2016 Thank you so much for this amazing review! We love the positive feedback! Ideal Location, Luxury and Lifestyle all combined into one submitted by Christopher H. - Feb 04, 2016 |Recommended: YesThe property is ideally located near major transportation routes convenient for a longer commute or a local drive into town. There a well thought out additions and property amenities provided at no cost which elevate living at the Aura to luxury. As an all inclusive property situated within the surrounding community of Williamsburg the Aura is the place to be. response from property - Feb 04, 2016 Thank you for this fantastic review! Resort Style Livingsubmitted by Karl J. - Feb 01, 2016 |Recommended: NoAura is a very nice place to live. 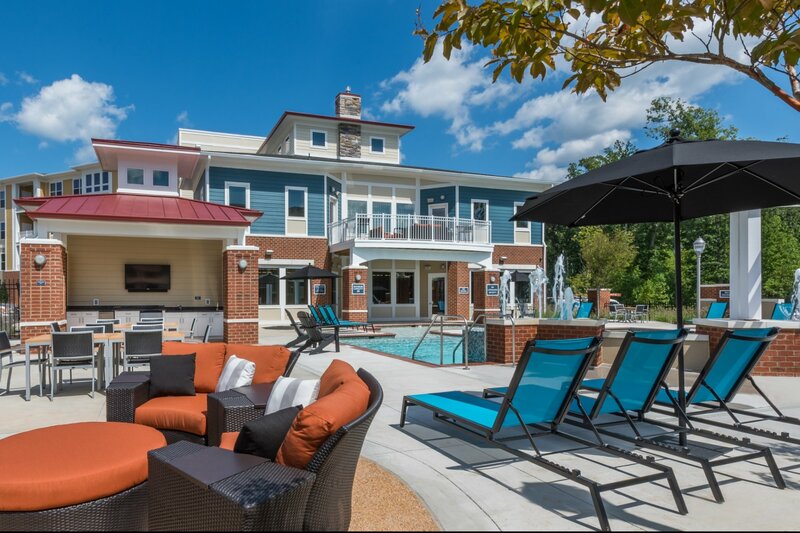 Conveniently located to shops in close proximity to I-64, thus a place to live when you work or study in Williamsburg, Hampton or Newport News. It offers all amenities you need and the management is very accommodating. response from property - Feb 01, 2016 Thank you so much for such a nice review! If you have any suggestions on how we can make things any better than what they already are please let us know! response from property - Dec 16, 2015 Thanks so much! Please let us know if there's anything else we can do to make your stay here more enjoyable.